Reserve a spot on the cruise online after redemption or make a reservation with the bus staff, free of charge! not easy to find the bus stop but overall experience is good. better to pre plan yr trip in order to fully utilize each mode and take 2 days package. 2 days on loop bus another 2 days subway, a total of 4 days. 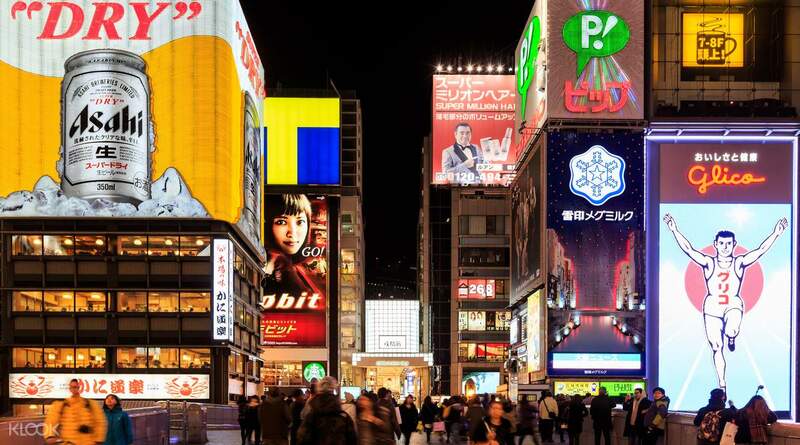 Explore Osaka and discover all the sights and charms of Japan's second biggest city. 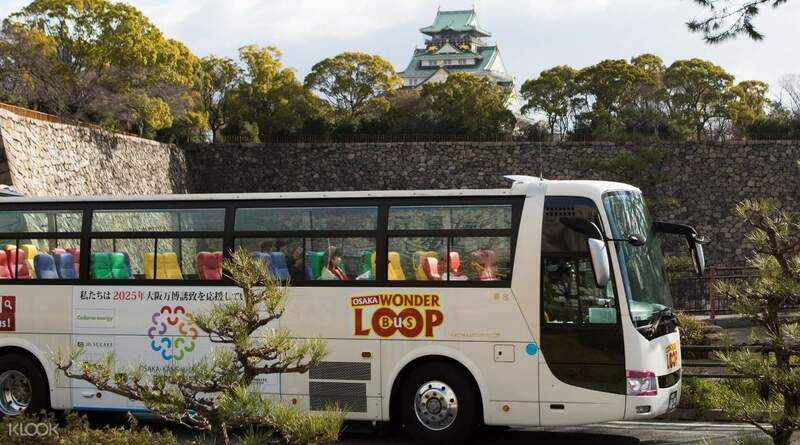 The Osaka Wonder Loop bus takes you around the city, stopping at 14 different locations and places of interest all offering something different. 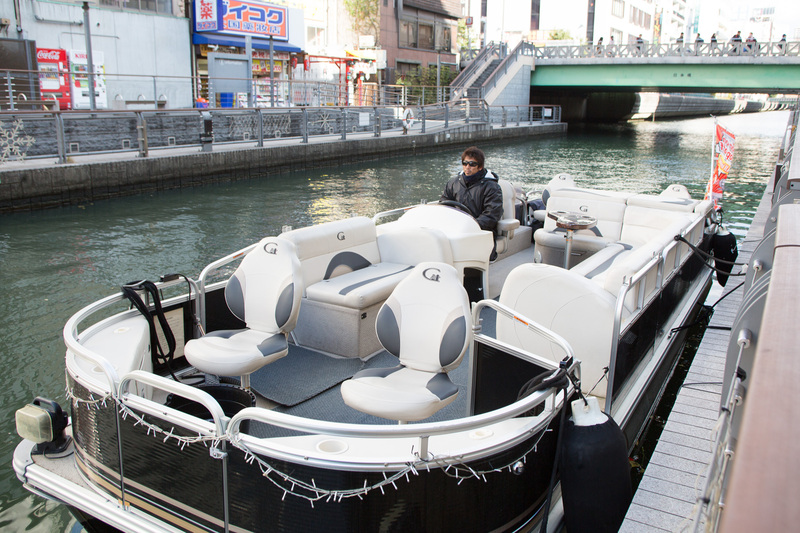 The river cruise stops off at Dotonbori, Kitashinchi, and Tenmabashi Hachikenyahama, with different routes to select from. Whether it's the glorious 16th century Osaka Castle, or the bustling Dotonbori shopping district, the added flexibility of the 48-hour pass means that there is something to see for everyone, making it a truly memorable day out and the perfect introduction to one of Japan's most vibrant cities. The Wonder Loop bus pass is valid for 24 or 48 hours from the first ride. Very nice experience and guides were awesome especially Nani! The route brings you to places where it’s nice to spend time on. The choice of a closed bus and an open bus was a good plus too. Also the subway passes were very useful. Will book this activity again in the future. Very nice experience and guides were awesome especially Nani! The route brings you to places where it’s nice to spend time on. The choice of a closed bus and an open bus was a good plus too. Also the subway passes were very useful. Will book this activity again in the future. all the tour guides of the loop bus is good and very friendly. they give small toys for my girls. very convenient. the river cruise we didnt enjoy that much because its only one way and we thought we are going to pass through the dotonbori. where the running man photo is located. but all in all the tour is very good. all the tour guides of the loop bus is good and very friendly. they give small toys for my girls. very convenient. the river cruise we didnt enjoy that much because its only one way and we thought we are going to pass through the dotonbori. where the running man photo is located. but all in all the tour is very good. VERY GOOD. BUT PLAN YOUR TOUR AHEAD OF TIME FOR THIS PROMO. IT HAS 14 STOPS ROUND TRIP AND 1 DAY IS NOT ENOUGH IF YOU WANT TO EXPLORE IT ALL :) WE WERE NOT ABLE TO COVER IT ALL BECAUSE OF WE TOOK TOO MUCH TIME ON OTHER SITES :) BUT IT WAS A GOOD DEAL. SPECIALLY IF YOU ARE NEAR ONE OF IT'S HOP ON/HOP OFF POINT. THE TOUR GUIDES ARE VERY GOOD IN ENGLISH AS WELL. VERY GOOD. BUT PLAN YOUR TOUR AHEAD OF TIME FOR THIS PROMO. IT HAS 14 STOPS ROUND TRIP AND 1 DAY IS NOT ENOUGH IF YOU WANT TO EXPLORE IT ALL :) WE WERE NOT ABLE TO COVER IT ALL BECAUSE OF WE TOOK TOO MUCH TIME ON OTHER SITES :) BUT IT WAS A GOOD DEAL. SPECIALLY IF YOU ARE NEAR ONE OF IT'S HOP ON/HOP OFF POINT. THE TOUR GUIDES ARE VERY GOOD IN ENGLISH AS WELL. Try to Osaka wonder loop to have a view on the city, although i did not took picture inside the bus and just spend time seeing the view especially the ginkgo trees if I'm not mistaken is so beautiful. After that spend some time on a cruise in which you will see many different buildings and lights. Osaka is so lovely at night, its raining during our ride but the boat man was so accommodating and make sure that we are not wet. Our group is so happy, with a good music and looking at the view its worth spending, it like your having a good rest, before trying the street foods after the cruise. Than you KLOOK we really had some fun ^=^ Japanese and warmth people. 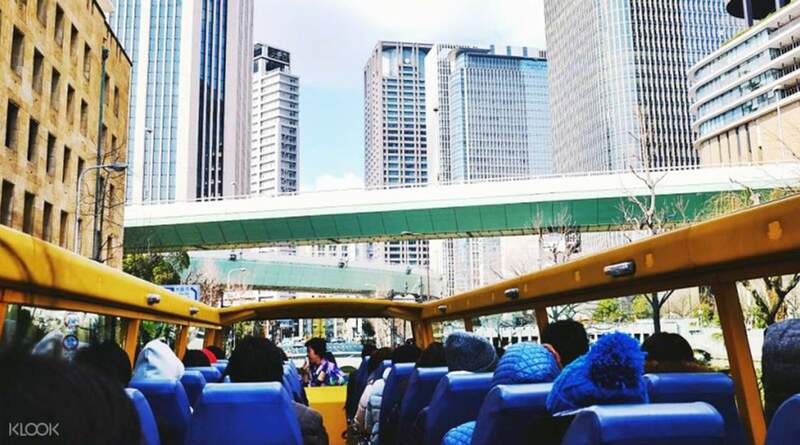 Try to Osaka wonder loop to have a view on the city, although i did not took picture inside the bus and just spend time seeing the view especially the ginkgo trees if I'm not mistaken is so beautiful. After that spend some time on a cruise in which you will see many different buildings and lights. Osaka is so lovely at night, its raining during our ride but the boat man was so accommodating and make sure that we are not wet. Our group is so happy, with a good music and looking at the view its worth spending, it like your having a good rest, before trying the street foods after the cruise. Than you KLOOK we really had some fun ^=^ Japanese and warmth people. This a a must booking when visiting Osaka. 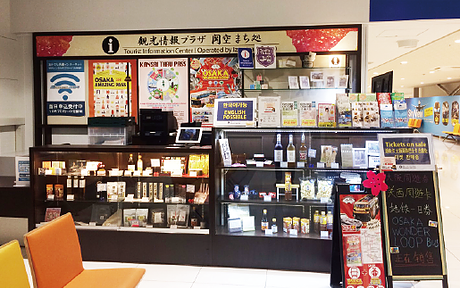 This will gave you a big saving when touring around Osaka. And of course the river cruise is the best part from the deal! This a a must booking when visiting Osaka. This will gave you a big saving when touring around Osaka. And of course the river cruise is the best part from the deal! not easy to find the bus stop but overall experience is good. better to pre plan yr trip in order to fully utilize each mode and take 2 days package. 2 days on loop bus another 2 days subway, a total of 4 days. not easy to find the bus stop but overall experience is good. better to pre plan yr trip in order to fully utilize each mode and take 2 days package. 2 days on loop bus another 2 days subway, a total of 4 days. It was really a wonderful visit to Osaka with Wonder Loop Bus + Cruise! Had the activity yesterday with my kids. The tour guide are speaking English very clearly and were very helpful and cheerful. The tour guides were the ones who approached us to ask what we plan to do and gave us very good tips and maps, explained the routes to make our visit worthwhile. It was a relaxing way to end our trip. Thank you so much Klook!!! It was really a wonderful visit to Osaka with Wonder Loop Bus + Cruise! Had the activity yesterday with my kids. The tour guide are speaking English very clearly and were very helpful and cheerful. The tour guides were the ones who approached us to ask what we plan to do and gave us very good tips and maps, explained the routes to make our visit worthwhile. It was a relaxing way to end our trip. Thank you so much Klook!!! It was okay. Saved me the hassle of using the subway. The boat cruise was really fun. I would recommend the 2 day tour if possible. It was okay. Saved me the hassle of using the subway. The boat cruise was really fun. I would recommend the 2 day tour if possible. This Wonder Loop Bus and Cruise is great! The short river cruise is enjoyable, and our tour guide on the bus was entertaining (shout out to Shogo!) The real blue here though, is the 2-day unlimited pass to the extensive Osaka subway system. You can save so much if you want to get around the city on your own! This Wonder Loop Bus and Cruise is great! The short river cruise is enjoyable, and our tour guide on the bus was entertaining (shout out to Shogo!) The real blue here though, is the 2-day unlimited pass to the extensive Osaka subway system. You can save so much if you want to get around the city on your own!